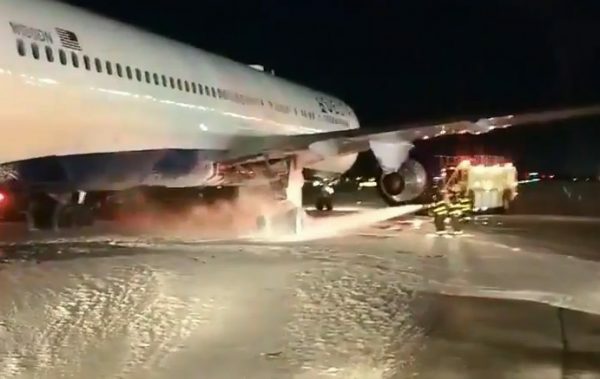 Firefighters scrambled to douse the flames on an aircraft that aborted takeoff at New York’s John F. Kennedy Airport on Oct. 1, after the plane’s landing gear caught fire. “Kennedy ground, you got an emergency. Emergency,” an unidentified voice can be heard, according to NBC New York, citing LiveATC.net, a repository of air traffic control interactions. Passengers were evacuated from the aircraft using mobile stair ramps. 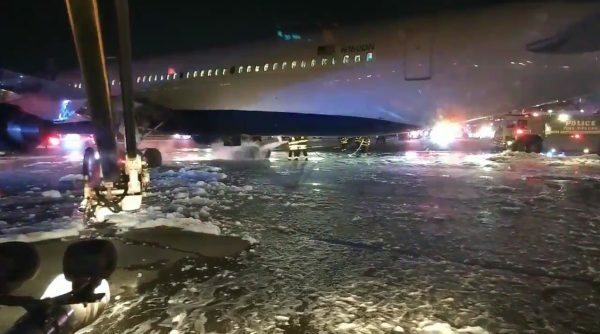 Video posted by Port Authority Police Benevolent Association, the law enforcement union representing Port Authority Police Officers, shows the stationary aircraft and firefighters hosing down the smoldering landing gear. 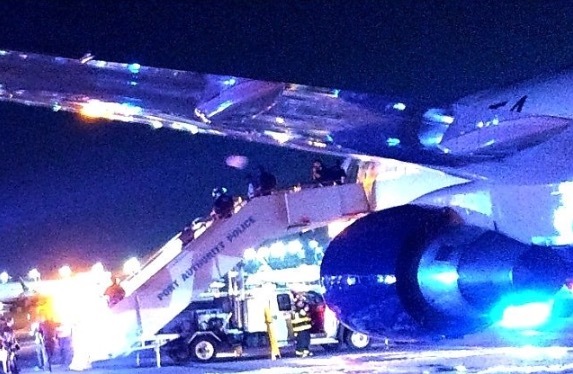 The fire broke out in the main landing gear wheel well of Delta flight No. 420, a Boeing B763, just before 7:30 p.m. Monday, NBC reported, citing the Federal Aviation Administration (FAA). An aircraft firefighter unit responded to the emergency. “Mon., 10/1, JFK Airport; Delta aircraft aborted takeoff, reported gear fire. 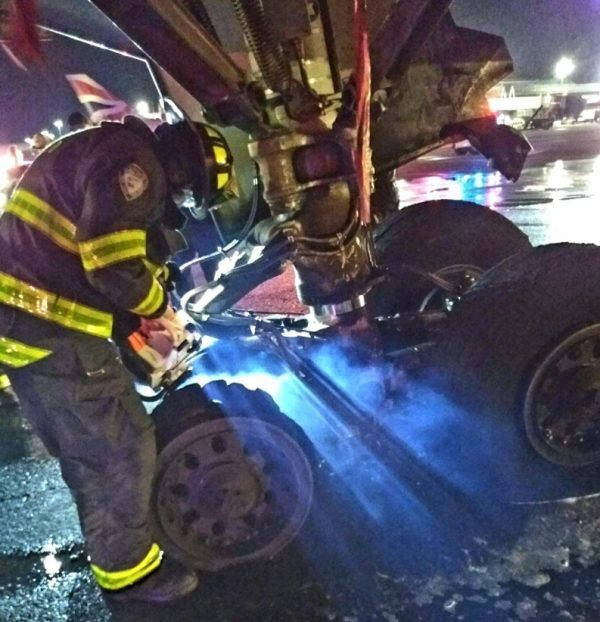 Port Authority Police Aircraft Rescue Fire Fighter (ARFF) Unit on scene,” tweeted Port Authority PBA. In a separate but concurrent incident, a Delta plane departing from LaGuardia Airport made an emergency landing at JFK due to a possible bird strike, according to the Port Authority PBA. “At the same time as the JFK Delta fire a Delta Airbus 319, that just departed LaGuardia, made an emergency landing at JFK with a possible bird strike. PAPD ARFF had to split ARFF response,” the PBA said in a tweet. Officials reported no flight disruptions due to the incidents.